). They are also called the three origins or the three roots (San Yuan, because they are considered the origins and roots of your life. Jing means the Essence, the most original and refined part of every thing. Jing exists in everything. It represents the most basic part of anything which shows its characteristics. Sperm is called Jing Zi (^f ), which means "Essence of the Son," because it contains the Jing of the father which is passed on to his son (or daughter) and becomes the son's Jing. Jing is the original source of every living thing, and it determines the nature and characteristics of that thing. It is the root of life. Qi is the internal energy of your body. It is like the electricity which passes through a machine to keep it running. Qi comes either from the conversion of the Jing which you have received from your parents, or from the food you eat and the air you breathe. Shen is the center of your mind, the spirit of your being. It is what makes you human, because animals do not have a Shen. The Shen in your body must be nourished by your Qi or energy. When your Qi is full, your Shen will be enlivened. These three elements are interrelated in a number of ways. Chinese meditators and Qigong practitioners believe that the body contains two general types of Qi. The first type is called Original Qi (Yuan Qi, Ait) or Pre-birth Qi (Xian Tian Qi, A.**. ), and it comes from converted Original Jing (Yuan Jing, >Li* ), which you get from your parents at conception. The second type, which is called Post-birth Qi (Hou Tian Qi, ft is drawn from the Jing of the food and air we take in. When this Qi flows or is led to the brain, it can energize the Shen and soul. This energized and raised Shen is able to lead the Qi to the entire body. Each one of these three elements or treasures has its own root. You must know the roots so that you can strengthen and protect your three treasures. Jing, ), all other Jings must be obtained from food, air, or even the energy surrounding you. Among all of these Jings, Original Jing is the most important one. It is the root and the seed of your life, and your basic strength. If your parents were strong and healthy, your Original Jing will be strong and healthy, and you will have a strong foundation on which to grow. The Chinese people believe that in order to stay healthy and live a long life, you must protect and maintain this Jing. It is like money which you have invested in a bank. You can live off the interest for a long time, but if you withdraw the principal and spend it, you will have nothing left. The root of Original Jing before your birth was in your parents. After birth this Original Jing stays in its residence—the kidneys, which are considered the root of your Jing. When you keep this root strong, you will have sufficient Original Jing to supply to your body. Although you cannot increase the amount of Jing you have, Qigong training can improve the quality of your Jing. Qigong can also teach you how to convert your Jing into Original Qi more efficiently, and how to use this Qi effectively. 2. Qi is converted both from the Jing which you have inherited from your parents and from the Jing which you draw from the food and air you take in. Qi which is converted from the Original Jing which you have inherited is called Original Qi (Yuan Qi, i-H ).' Just as Original Jing is the most important type of Jing, Original Qi is the most important type of Qi. It is pure and of high quality, while the Qi from food and air may make your body too positive or too negative, depending on how and where you absorb it. When you retain and protect your Original Jing, you will be able to generate Original Qi in a pure, continuous stream. As a Qigong practitioner, you must know how to convert your Original Jing into Original Qi in a smooth, steady stream. Since your Original Qi comes from your Original Jing, they both have the kidneys for their root. When your kidneys are strong, the Original Jing is strong, and the Original Qi converted from this Original Jing will also be full and strong. This Qi resides in the Lower Dan Tian in your abdomen. Once you learn how to convert your Original Jing, you will be able to supply your body with all the Qi it needs. 3. Shen is the force which keeps you alive. It has no substance, but it gives expression and appearance to your Jing. Shen is also the control tower for the Qi. When your Shen is strong, your Qi is strong and you can lead it efficiently. The root of Shen (spirit) is your mind (Yi, or intention, £ ). When your brain is energized and stimulated, your mind will be more aware and you will be able to concentrate more intensely. Also, your Shen will be raised. Advanced Qigong practitioners believe that your brain must always be sufficiently nourished by your Qi. It is the Qi which keeps your mind clear and concentrated. With an abundant Qi supply, the mind can be energized, and can raise the Shen and enhance your vitality. The deeper levels of Qigong training include the conversion of Jing into Qi, which is then led to the brain to raise the Shen. This process is called "Huan Jing Bu Nao" and means "Return the Jing to nourish the brain,"
When Qi is led to the head, it stays at the Upper Dan Tian (center of the forehead). The Upper Dan Tian is the residence of Shen. Qi and Shen are mutually related. When your Shen is weak, your Qi is weak, and your body will degenerate rapidly. Shen is the headquarters of Qi. Likewise, Qi supports the Shen, energizing it and keeping it sharp, clear, and strong. If the Qi in your body is weak, your Shen will also be weak. 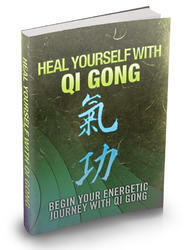 Qigong also spelled Ch'i Kung is a potent system of healing and energy medicine from China. It's the art and science of utilizing breathing methods, gentle movement, and meditation to clean, fortify, and circulate the life energy qi. 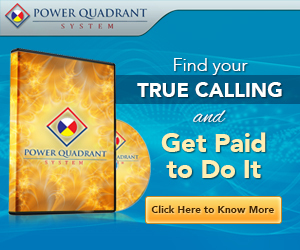 How many % you must spent to transform qi into jing? How to raise shen in chi gong? Can qi be converted into jing? How to nourish jing qigong? When your shen is weak? How to turn your qi into shen? How to increase jing, chi and shen?